The hit Netflix series The Chilling Adventures of Sabrina is a complete and total departure from the lighthearted 1990s television sitcom Sabrina, the Teenage Witch. When the new show’s creators said the update was going to be a lot darker than the earlier version, they were not kidding. 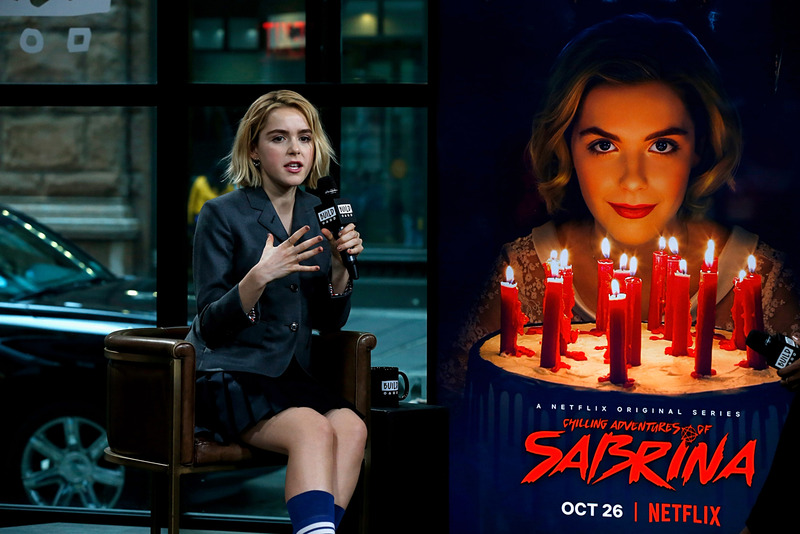 Developed by comic book writer and Riverdale creator Roberto Aguirre-Sacasa and starring Kiernan Shipka as Sabrina, this shadowy and mystery-filled reboot is nothing short of spellbinding. 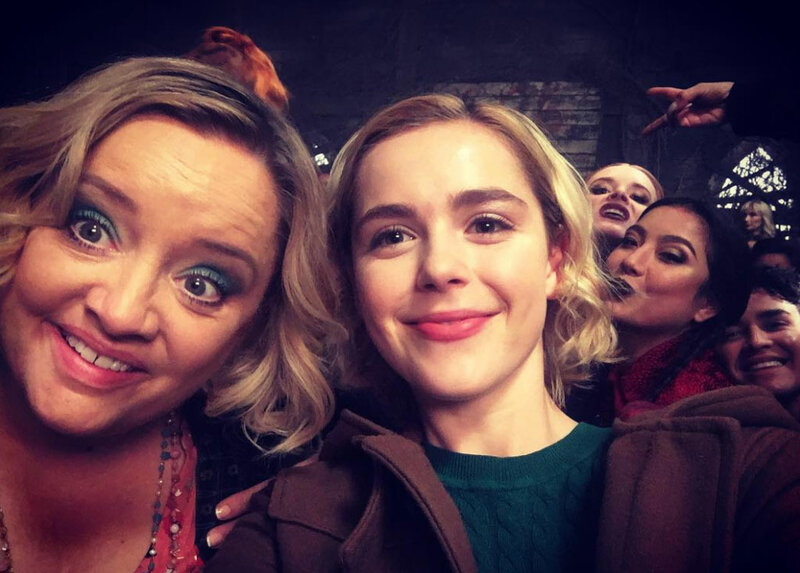 The behind-the-scenes facts and trivia about the making of The Chilling Adventures of Sabrina are almost as gripping as the show itself. 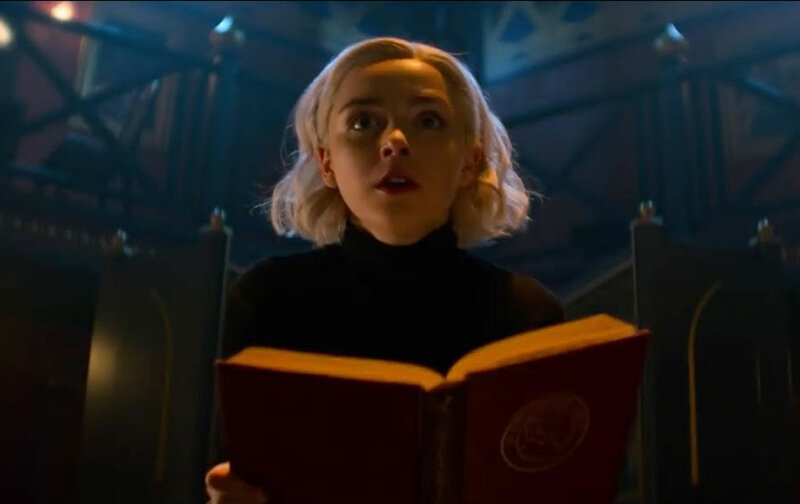 Grab your familiar and read on as we learn all the sinister secrets about Sabrina Spellman and her weird, witchy world. Warning: possible spoilers ahead. 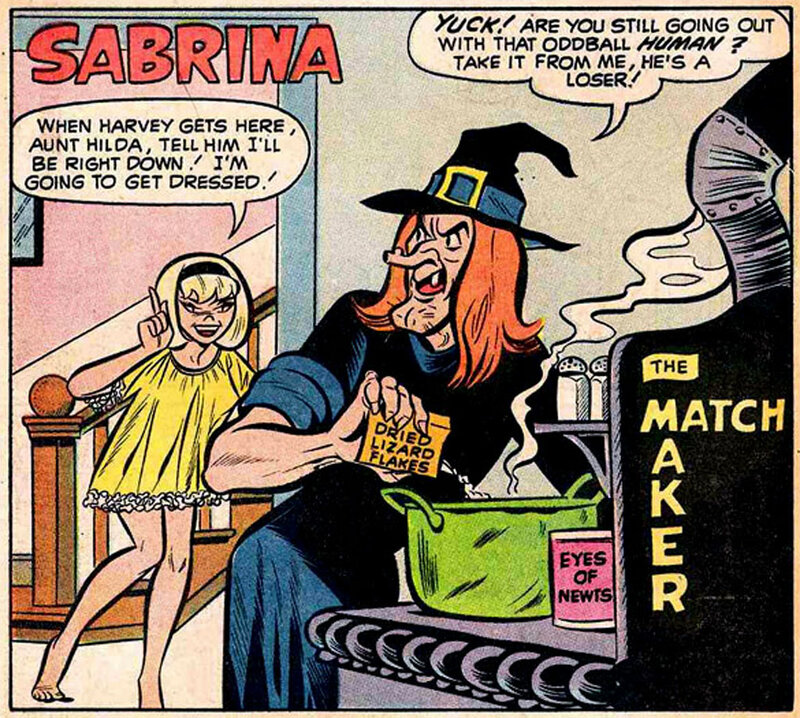 Sabrina the Teenage Witch originally appeared in the iconic Archie Comics, alongside other notable characters like Archie Andrews, Jughead Jones, Veronica Lodge, Betty Cooper, and Josie and the Pussycats. She made her debut in a 1962 issue of Archie’s Mad House. Sabrina lived with her witch aunts Zelda and Hilda in a town called Greendale, which is near Archie’s hometown of Riverdale. Initially, her aunts were portrayed as hag-like crones, while Salem was an orange-colored cat and didn’t speak. 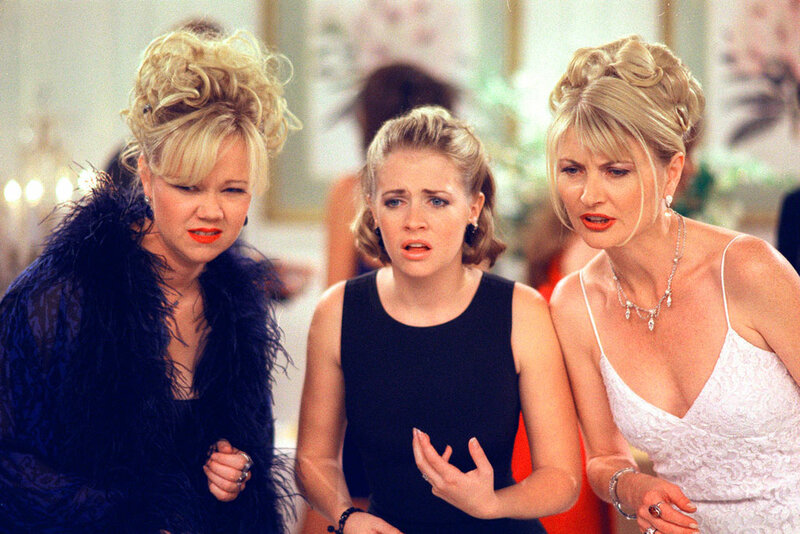 Find out what Melissa Joan Hart, who played the ’90s Sabrina, thinks of the new show. 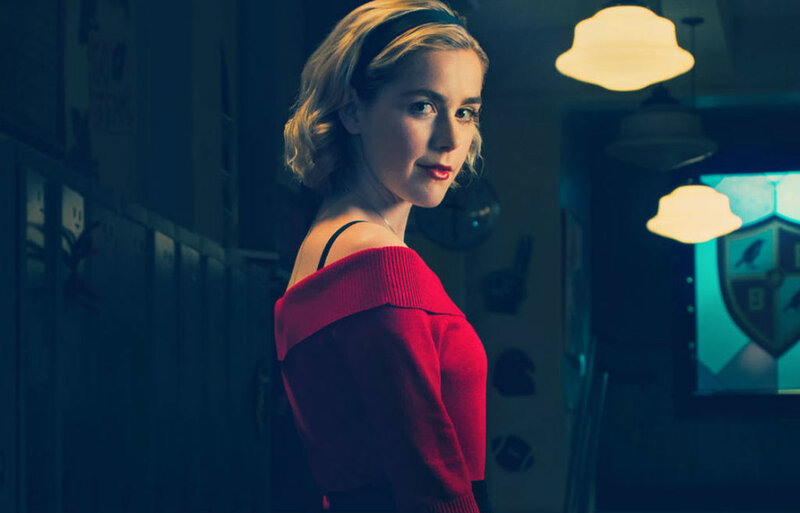 After her breakout role as Sally Draper on Mad Men, Shipka briefly worked on The Unbreakable Kimmy Schmidt and on FX’s Feud. But just before The Chilling Adventures of Sabrina premiered in October of 2018, she confided to Refinery29 that she’d been worried about her career until scoring the role. Production designer Lisa Soper is a real practitioner of Paganism. She feels that her personal experience comes in handy on the show, and she even cast a spell on the set after it was constructed. “I put a protection spell on the house. I didn’t have to hide it [from the cast],” she explained to Vanity Fair. The spell Soper used involved crystals and salts, burning sage, and a sacred circle. Soper says that the crew goes out of their way not to disturb any of the crystals or other artifacts to avoid messing up the protective spell. If Aunt Hilda looks familiar, it’s for good reason. British actress Lucy Davis has had many prominent roles throughout her career, including Etta Candy in 2017’s Wonder Woman, Dianne in the comedic horror flick Shaun of the Dead, and Dawn Tinsley on the BBC version of The Office. 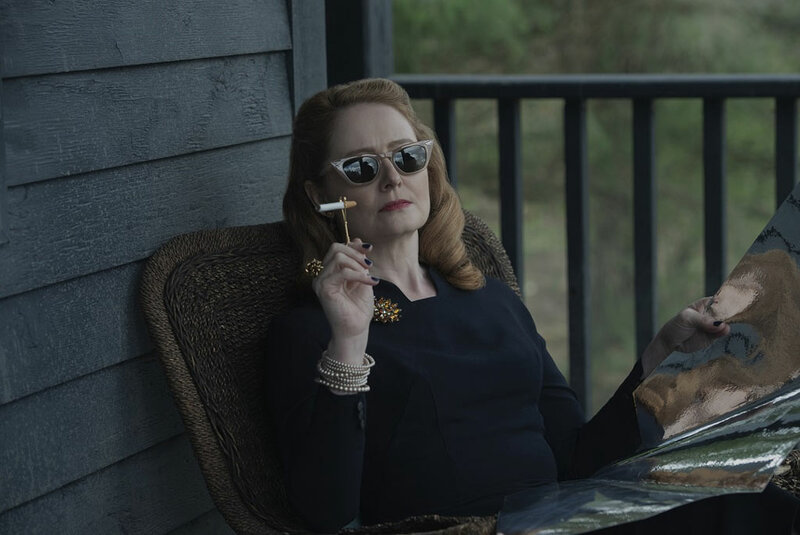 Lisa Soper told Refinery 29 that “all the writers and myself are very sticklery on the Pagan rituals,” and said that the spells cast on the show come from “actual history.” In fact, the characters use real spells found in Soper’s personal collection of religious history and spell books. Sabrina’s cat Salem is a familiar, a former goblin who has taken on the shape of an animal in order to better assist his witch master. He first debuted alongside Sabrina the Teenage Witch in an Archie comic in 1962, although he was originally orange and didn’t speak. In those days, he was described as being a former witch who was doomed to spend 100 years in feline form after trying to take over the world. In the 1990s live-action Sabrina the Teenage Witch sitcom, Salem was a witty and wise-cracking cat who spoke in a human voice. 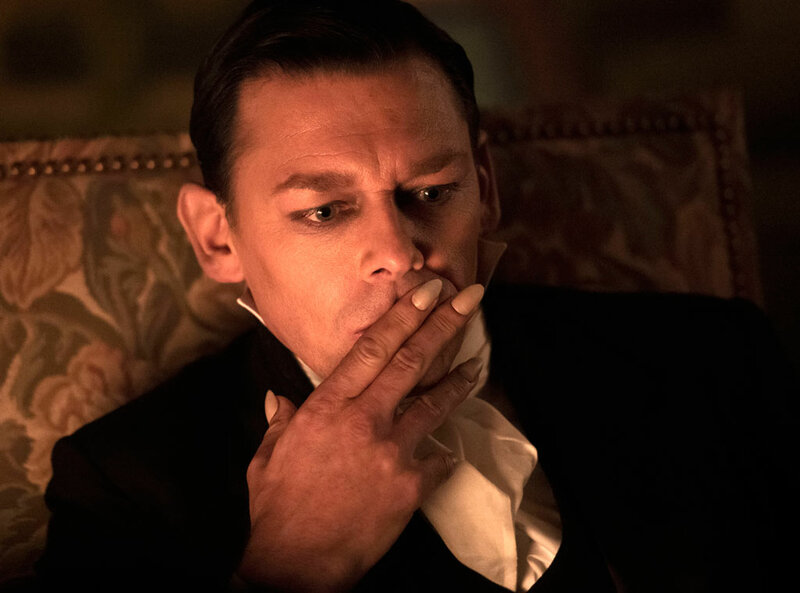 In the new Sabrina, he was given a more serious demeanor to match the darker mood of the show. He communicates primarily through telepathy. 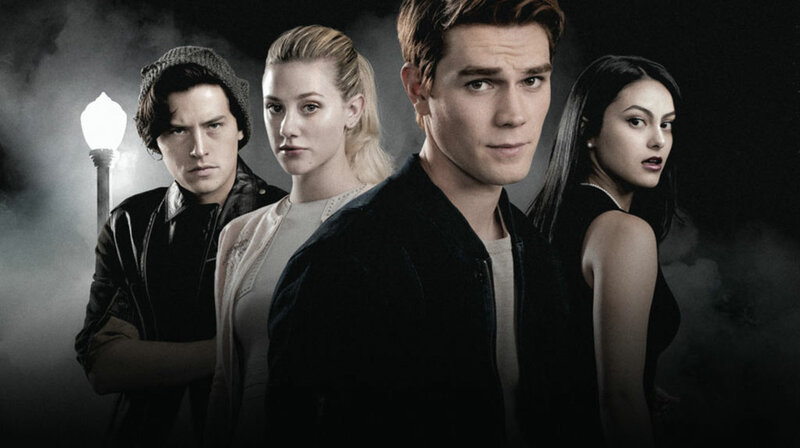 The Chilling Adventures of Sabrina was at first meant to be a companion show to CW’s Riverdale. But in December 2017, the project was moved to Netflix, which had ordered two seasons of the show. Even so, Sabrina and Riverdale still share a universe. The series are both filmed in Vancouver, so they can share the same crew. 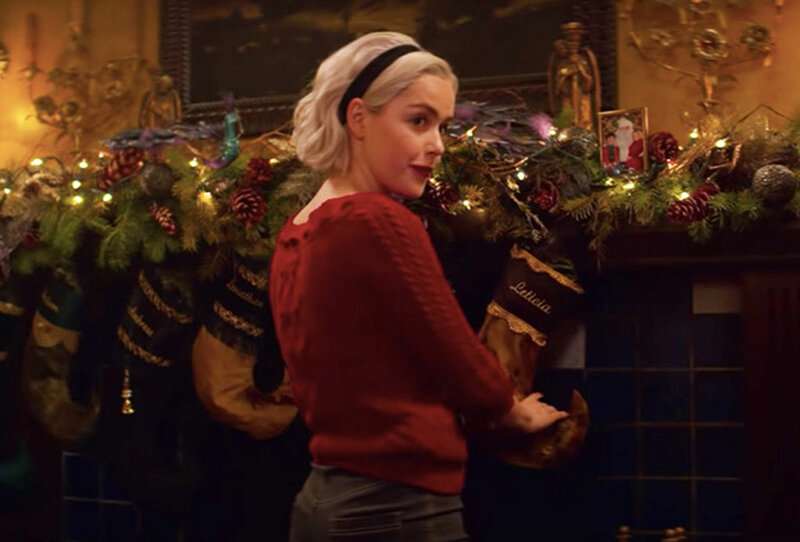 Parts 1 and 2 of the Chilling Adventures of Sabrina were filmed in a town called Cloverdale, located in Vancouver, British Columbia. The town, founded in 1870, has also been featured in Smallville, Deck the Halls, Stargate Universe, and Coke commercials. Some Sabrina settings, such as Baxter High School and Cerberus Books, were shot at real Cloverdale locations. Many locals were thrilled about the show being filmed in their hometown. 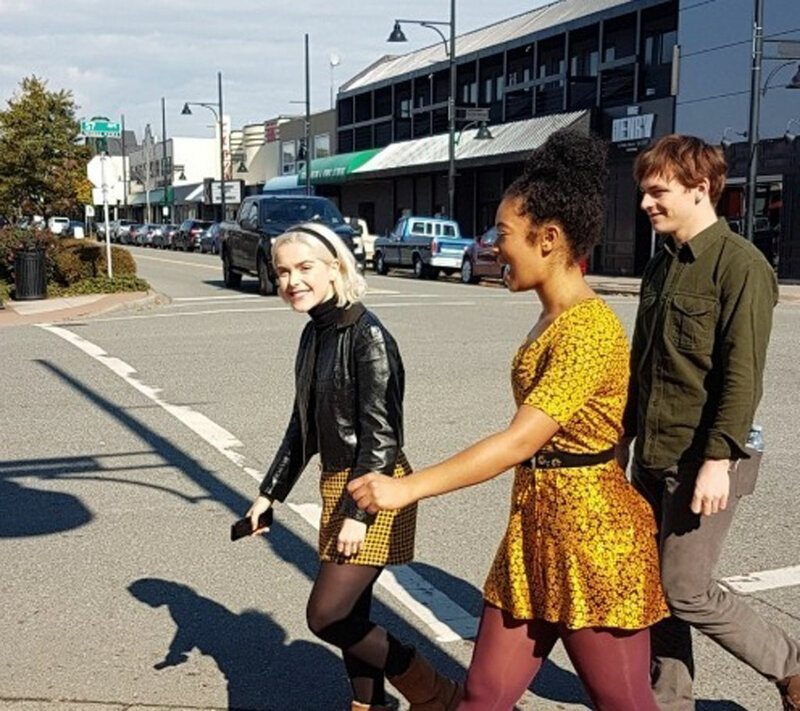 The executive director of the Cloverdale Business Improvement Association snapped this pic of stars Kiernan Shipka, Ross Lynch, and Jaz Sinclair crossing the street. A witch’s familiar is no ordinary house pet, and you’re probably not going to find any with boring names like Whiskers or Spot. The familiars on Sabrina all have special meanings behind their monikers. 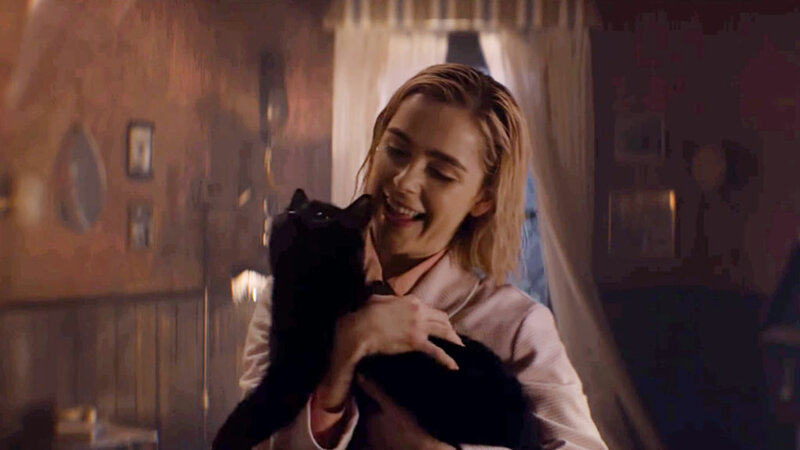 Sabrina’s cat Salem has perhaps the most obvious name, a reference to the Massachusetts town known for holding brutal witch trials in the 17th century. Ms. Wardell’s raven is named Stolas after one of the demons listed in a book on spells and demonology. Zelda has a dog called Vinegar Tom, which was a play about the witch trials in England. And Ambrose’s familiar, a mouse named Leviathan, shares the name of a biblical sea monster. Is Cousin Ambrose The New Salem? Fans of the 1990s Sabrina series might think that cousin Ambrose is a new character in the Spellman world. But he’s actually an adaptation of a character who first appeared in Archie comics in the 1970s. The latest version of Ambrose is “witty, puckish, [and] pan-sexual,” per a casting description, and he is trapped in the family’s funeral home due to a binding spell. 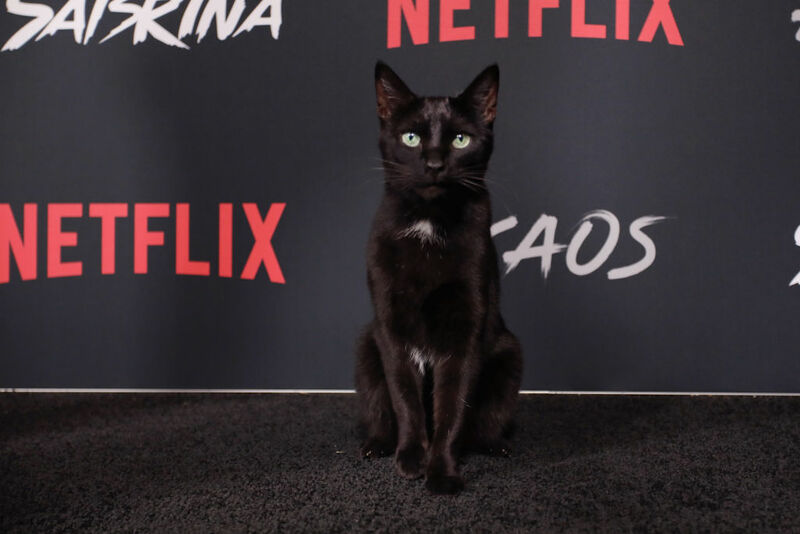 His wicked sense of humor and sarcastic comments are sure to remind viewers of Salem’s character in the ’90s version. 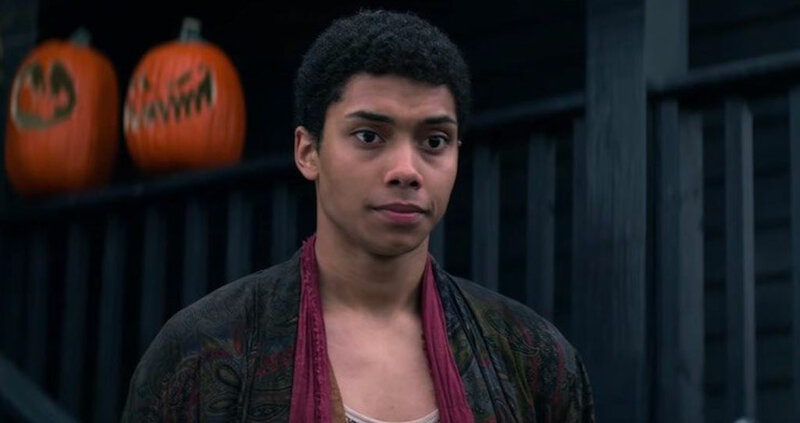 Roberto Aguirre-Sacasa was so impressed by English actor Chance Perdomo’s audition that he wrote the part of Ambrose Spellman specifically for him. 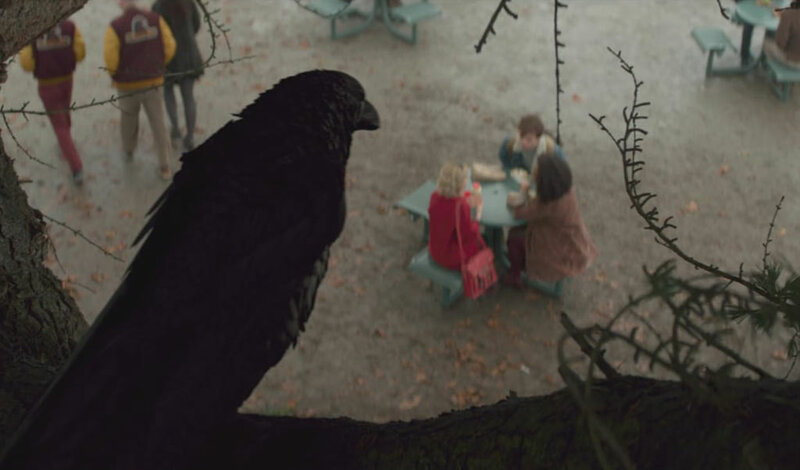 Although the first season of Sabrina developed independently from its companion series Riverdale, there was a brief crossover cameo that left many fans freaking out. Ben Button was a background character on Riverdale who popped up in Greendale when he showed up at Ms. Wardwell’s door to deliver a pizza. Kiernan Shipka became a household name while she worked on one of the most fashionable television series of all times — Mad Men. And now, Sabrina’s wardrobe gets some serious attention from fans. The entire show has a distinctly retro style, but Sabrina’s fashion sense particularly stands out. “We take the best of different decades and create this timeless look,” explained Candice Stafford-Bridge, who heads the show’s makeup department. Fashion magazines now tell fans where they can purchase lookalike versions of the gorgeous shirt dresses, coats, and sweaters that Sabrina wears. Ross Lynch, who plays Sabrina’s love interest Harvey Kinkle, made an interesting transition in his acting career when he signed on for the series. His acting debut was in the Disney show Austin & Ally and then in the original Disney film Teen Beach Movie. He also made a cameo appearance in 2014’s Muppets Most Wanted film. Lynch then pursued decidedly darker roles, landing a gig playing a teenage version of the notorious serial killer Jeffrey Dahmer in My Friend Dahmer, before eventually signing on with The Chilling Adventures of Sabrina. 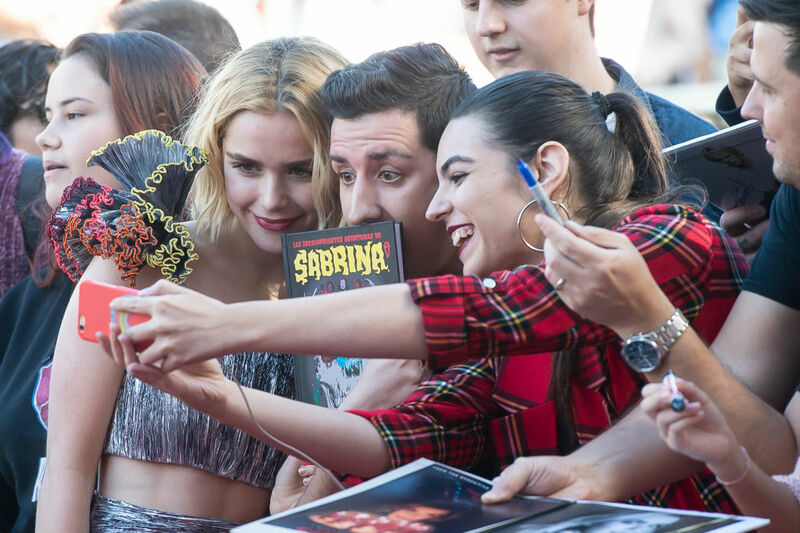 According to Roberto Aguirre-Sacasa, who created both Riverdale and Sabrina, he initially wanted Kiernan Shipka to play Betty Cooper on Riverdale. In an interview with Entertainment Weekly, he said, “Kiernan was iconic in Mad Men, and… I was like, ‘Oh I wonder if she’d ever do Betty. '” The role ended up going to Lili Reinhart. Many fans who grew up watching the original Sabrina, The Teenage Witch will always think of Melissa Joan Hart when they hear the name ‘Sabrina.’ So how does the original Sabrina feel about the reboot? It turns out that she’s not a huge fan, citing demographics as the main reason. She’s not against the new show, though! Could A ‘Bewitched’ Reboot Be In Shipka’s Future? Could A Bewitched Reboot Be In Kiernan Shipka’s Future? 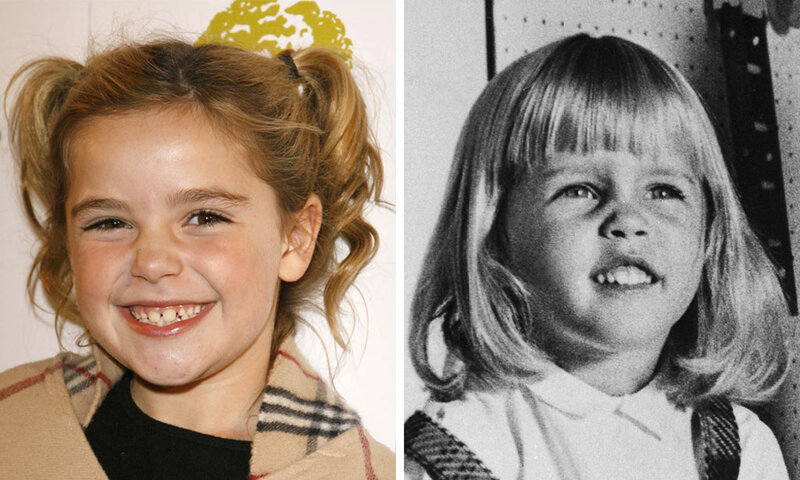 There are some legitimate correlations between Kiernan Shipka and the iconic 1960s show Bewitched, which was about a witch named Samantha Stevens. First, Shipka got her big break on the AMC series Mad Men, which followed her father Don Draper — a big-time ad executive. The dad on Bewitched was also an ad man, with a witch daughter named Tabitha. Mad Men producer Matthew Weiner even says that his show was heavily influenced by Bewitched. Shipka’s character Sally Draper was a parallel to Tabitha Stevens in many ways. They also physically resemble each other. 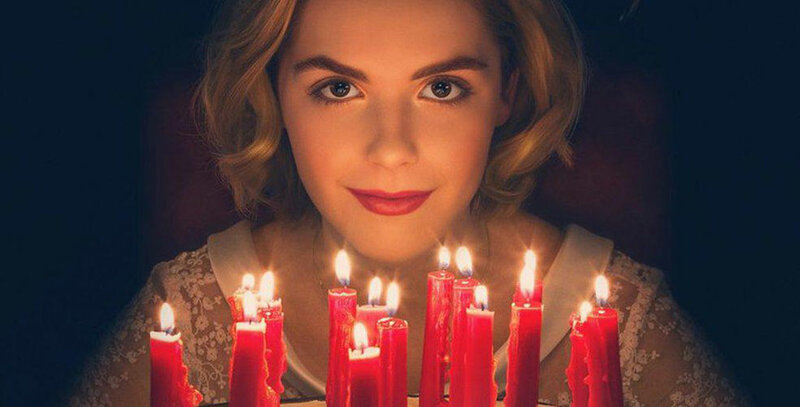 And now Shipka is playing a teenaged witch… is it possible that her next move after Sabrina would be to play Samantha in a reboot of Bewitched? Many fans would love to see that. Some fans think that an Episode 1 scene might have been a hint that Sabrina is supposed to be related to Elizabeth Montgomery, who played the iconic witch Samantha Stevens on the 1960s series Bewitched. In the scene, Aunt Hilda is telling Sabrina how handsome her father had been. She says, “He could’ve been a movie star if he’d chosen, like Cousin Montgomery,” which many fans interpreted to mean that the Spellmans are related to the Montgomery family.